Where did this come from?! Teddybears have been kind of out of sight and out of mind for a while, known mostly for their “Cobrastyle single" that was featured on the movie Employee of the Month with Dane Cook. Since 2006, they haven’t realeased a new album and quite honestly, I thought this was the end of Teddybears. Then “Devil’s Music” comes out this week, and blows away every listener with deep beats, catchy lyrics, and warm freakin’ teddybear fuzzies blasted all over the wall. When I went on Rhapsody to see what new albums came out over the past few days, I immediately listened to the ENTIRE Teddybears album. What caught my eye was who was featured in these tracks; Eve, B.o.B, Cee-lo, B-52’s, Laza Morgan, Flaming Lips, Robyn and more! 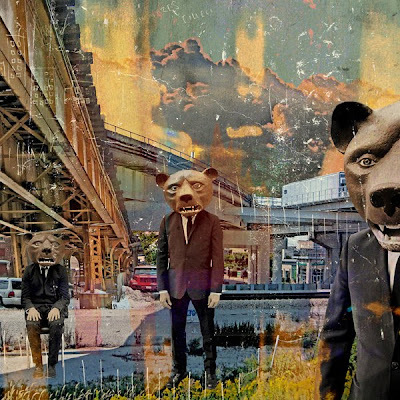 So many artists mixed with the rockin' bass of Teddybears could only mean one thing: epicness. Man was I right! I fell madly in love with every single “feat. XXXXX” song and I’m still listening to them as I type this 4 hours later. As for the rest of the album...there’s some good beats, but I’m actually not too fond of them. Reason being: I need some good lyrics with my tunes, not just a beat. Fortunately, “Devil’s Music” is mostly songs featuring an artist singing to the mix. I’m not asking you, I’m telling you; LISTEN TO THIS ALBUM! You can hear it on Rhapsody even if you’re not a subscriber (newbies get 25 free tracks without signing up). Rocket Scientist ft. Eve, Get Mama a House ft. B.o.B. and Devil’s Music ft. ADL are my top three favorite tracks. This entry was posted in music, review, rhapsody. Step Aside Resumes. Hello Bios! Design talk & creative inspiration with a mix of architecture ogling, magical travels, gaming fixes, technology nerdgasms, music jammin', and nature walks. Yup, that pretty much sums it up. I live for design, love sunshine, will eat anything deep-fried, watch way too many cat videos, occasionally chase haboobs, and reside in gorgeous PHX.